This Valentine’s Day, why not shake things up a bit? If you join Delightful Desserts next Thursday, then you can have your cake and eat it! Do something special for this year’s day of love. 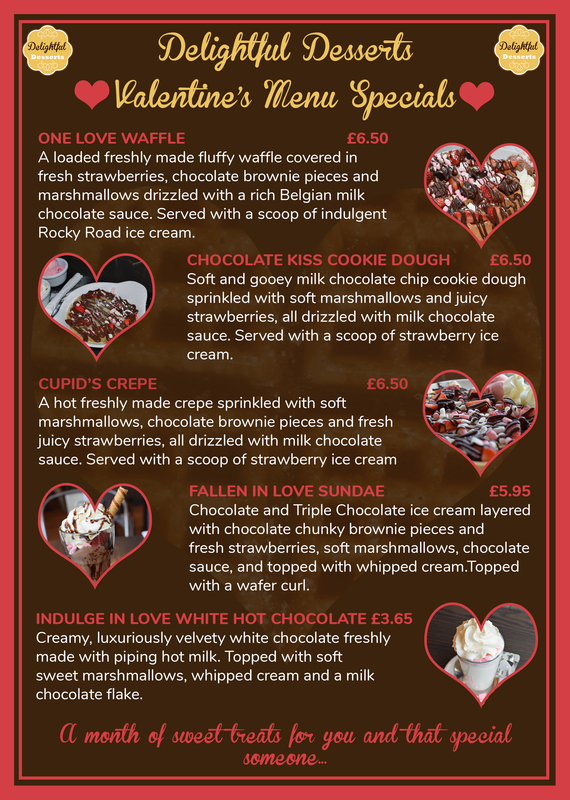 We have created a menu, specifically for this indulgent day, for you to enjoy alongside your special someone. 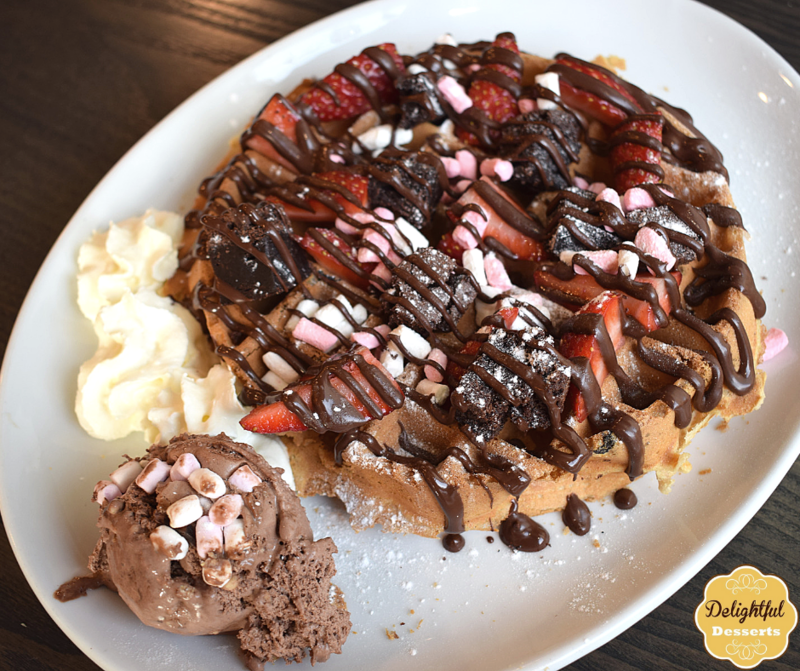 Our romantic treats have been combined with our ever-popular waffle, crepe, cookie dough and sundae bases to tempt your sweet teeth and get that romance flowing. Below we have pictured each one of our delicious delicacies. 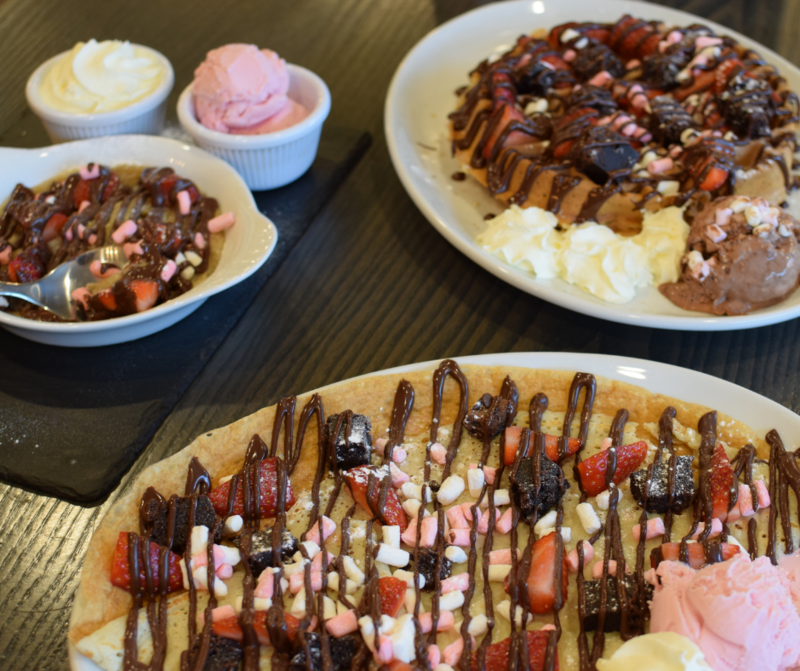 Tuck into any one to warm your hearts this Valentine’s day. After all, a picture speaks a thousand words (especially when it’s delicious food). 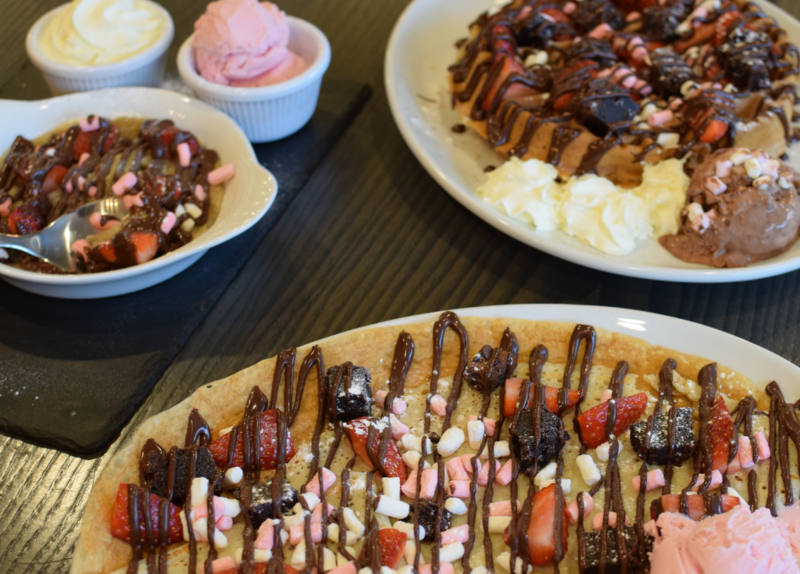 All served with whipped cream and ice cream, these treats really will whip up a storm this February. 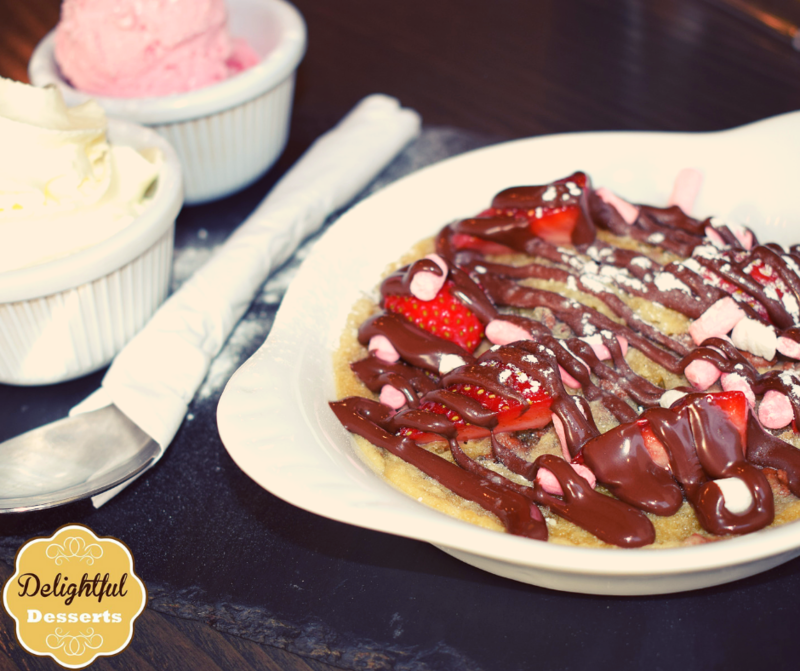 We think that we can offer a special, sweet and quirky spin on your Valentine’s Day date ideas. We can guarantee that your date will be blown away with a change of scene and a very sweet sensation. Our full menu can be viewed below, with mouth-watering descriptions to get your taste buds tingling. So, what are you waiting for? Spaces are being booked up quickly and we wouldn’t want anyone to miss out! 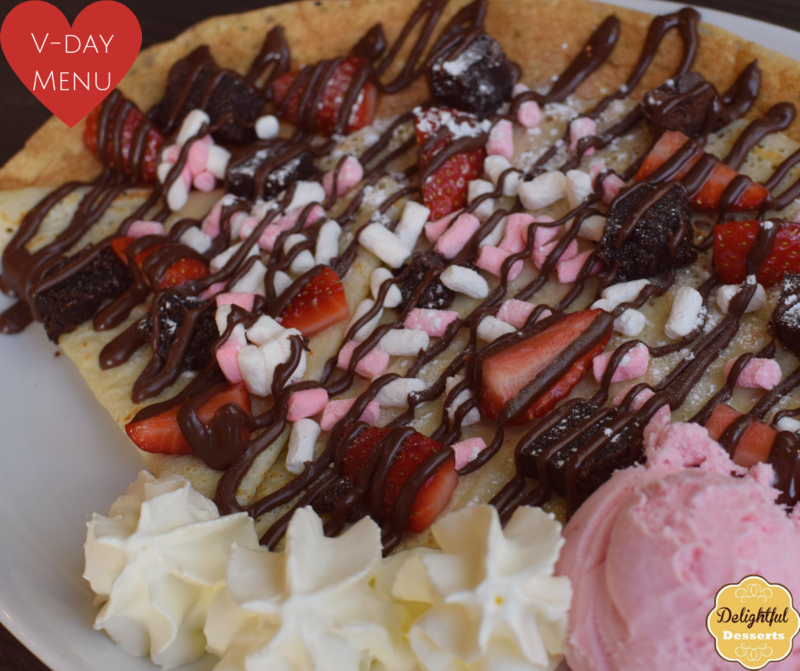 We look forward to serving our many Valentine’s OR Galentine’s (we haven’t forgotten you either) dates this February. Don’t leave things till the last minute! Dine with us and guarantee a smooth and fuss-free 14th of Feb.